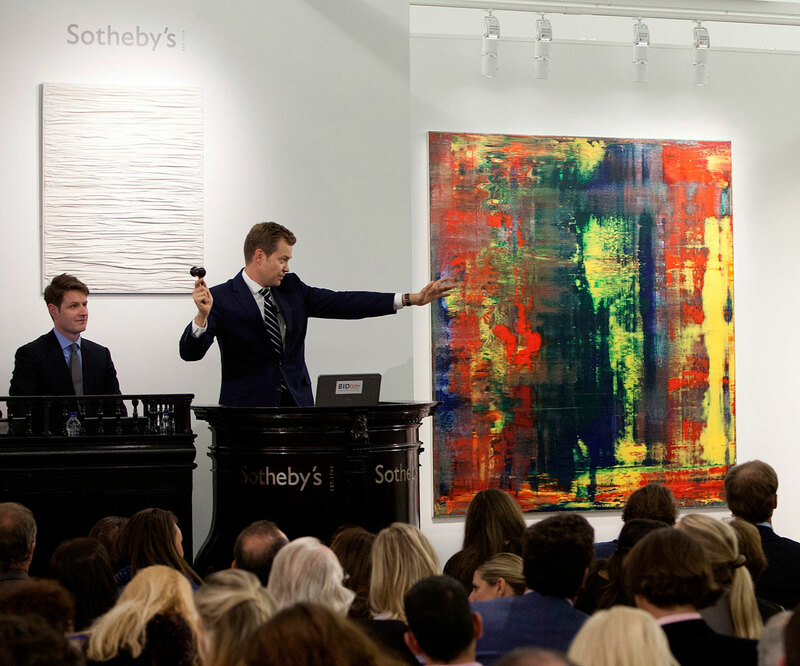 Abstraktes Bild (809-4), an oil canvas by German artist Gerhard Richter sold for more than $34 million at Sotheby’s auction in London on Friday (Oct. 12), and broke the record for a living artist. The painting, owned by singer Eric Clapton, went to an anonymous bidder, after a five-minute bidding battle, for the double price than auction house estimated. Described by Sotheby’s as “masterpiece of calculated chaos” and a “paradigm of Gerhard Richter’s mature artistic and philosophical achievement”, this painting broke the previous 2010 record, when Jasper Johns’ “Flag” sold for more than $28 million at Christie’s auction house in New York in 2010. Eric Clapton, who is a known art collector, bought 1994 painting “Abstraktes Bild (809-4)” along with two others in Richter’s 809 series for $3.4 million in total at Sotheby’s New York in November 2001. At the time, this was an auction record for a lot containing abstracts by the German artist, with each worth about a third of the figure. 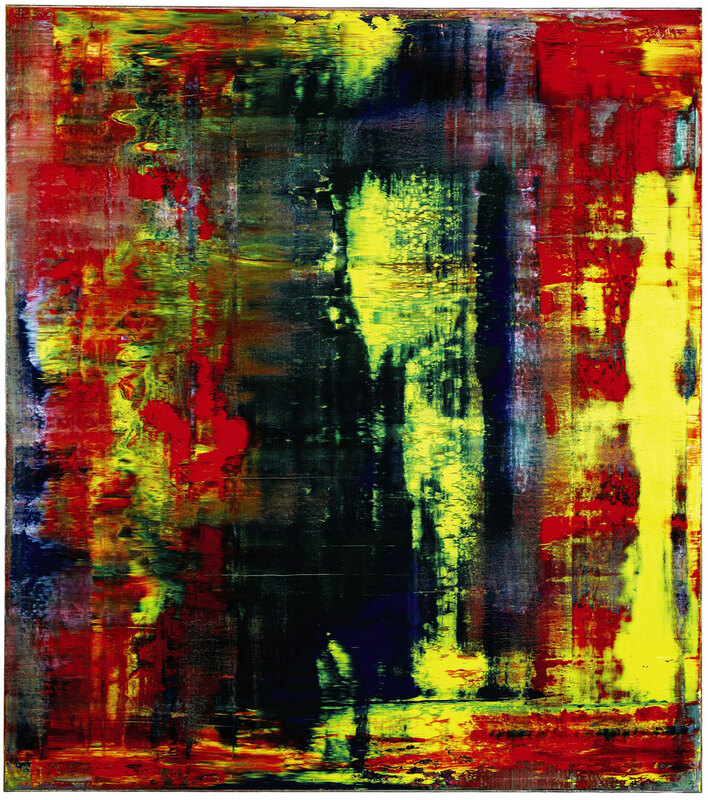 Another from Richter’s 809 series, “Abstraktes Bild (809-2)” fetched $3,119,403 at the same auction on Friday, Sotheby’s said. The Richter is one of 55 contemporary artworks being offered at Sotheby’s which are expected to raise between £28.5 million and £39.4 million.